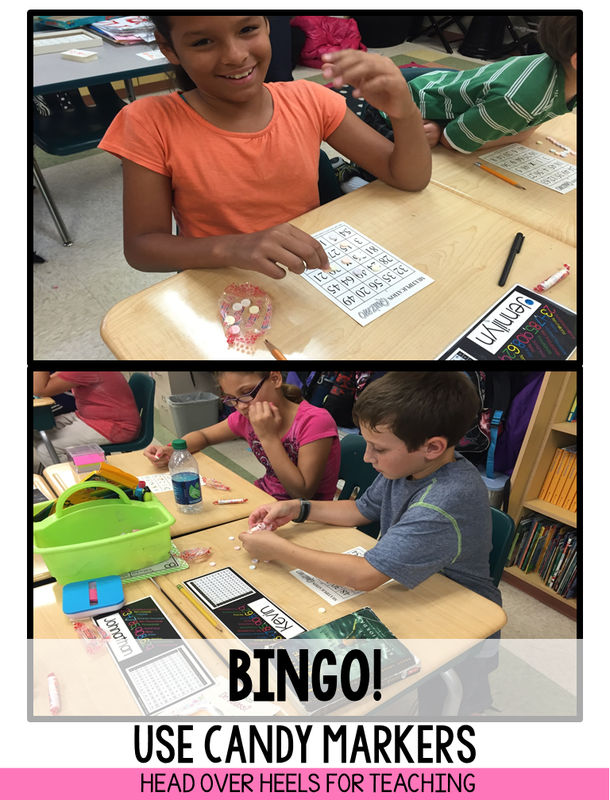 Head Over Heels For Teaching: Spark Student Motivation: BINGO With a TWIST! It's the weekend! I know with so many states and schools testing, you're ready for SATURDAY! 3rd and 4th graders are finished with testing in our county, but 5th grade is in full swing with 6 days of testing! It wouldn't matter to 4th grade except they test on computers directly under my classroom. So we have to move quietly around our room because every little chair moving can be heard! BUT... we still have to have FUN with our learning! I present the classic game BINGO with a TWIST! 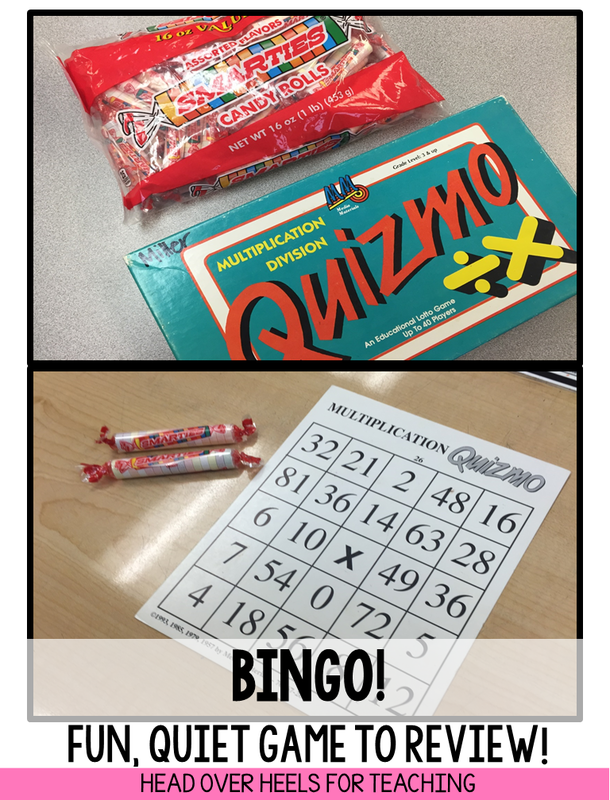 Quizmo is the multiplication version of bingo. 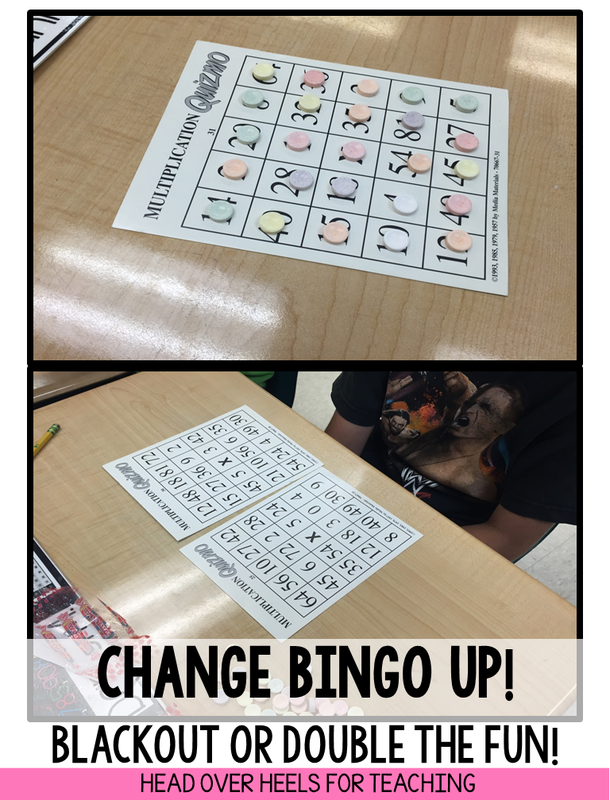 Well, even one change to Bingo is exciting to kids! How about candy markers? Smarties, M&M's, skittles, any small candy will work! Or a healthier choice: Cheerios, gold fish, or Fruit Loops. When my students saw the Smarties they forgot they were "working"! Change the traditional Bingo to making a "T" (or U, X, Z, H) or four corners. It keeps the game lively and keeps your students on their toes! 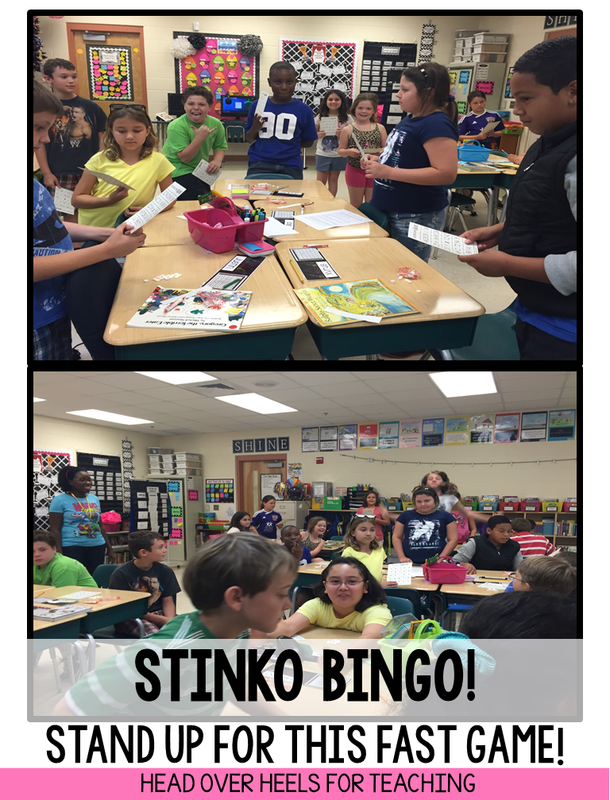 OUR FAVORITE version and new to me was STINKO BINGO! This is played reverse of the traditional Bingo as you don't want ANY of your numbers called (or in this case products). Everyone stands up their board and if they hear a number called on their board (using multiplication facts) they have to sit down. This game is suspenseful and quick! They loved this new way of playing! 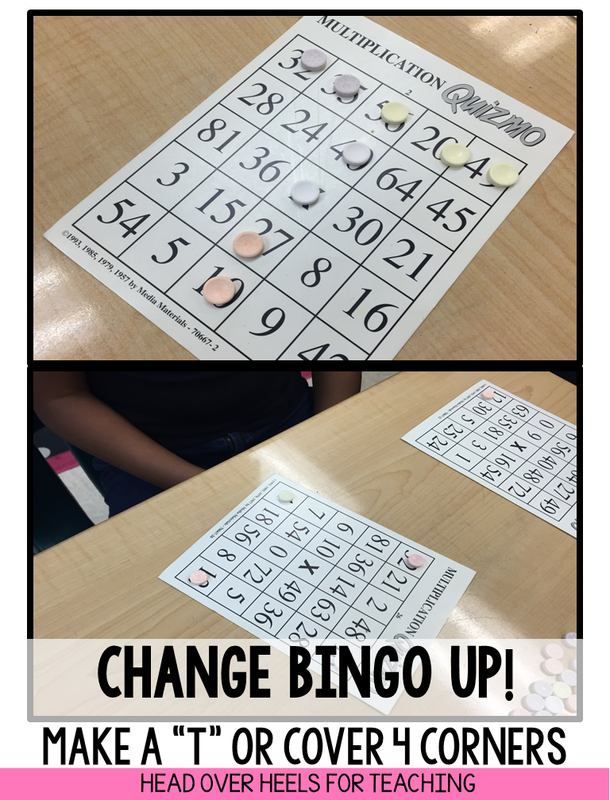 These TWISTS on Bingo can be used with any Bingo game boards-I hope you will try Stinko Bingo...it will be a hit in your class! A quick game of review is a nice "learning break" for you and your students! I love BINGO and I love the idea of Stinko Bingo - with a name like that who wouldn`t love it. Thanks for the idea. Have a great week!